Playful Chef products from MindWare are real cooking tools for kids and provides hours of interactive family fun. Help kids learn valuable life skills and build healthy eating habits that will last a lifetime! 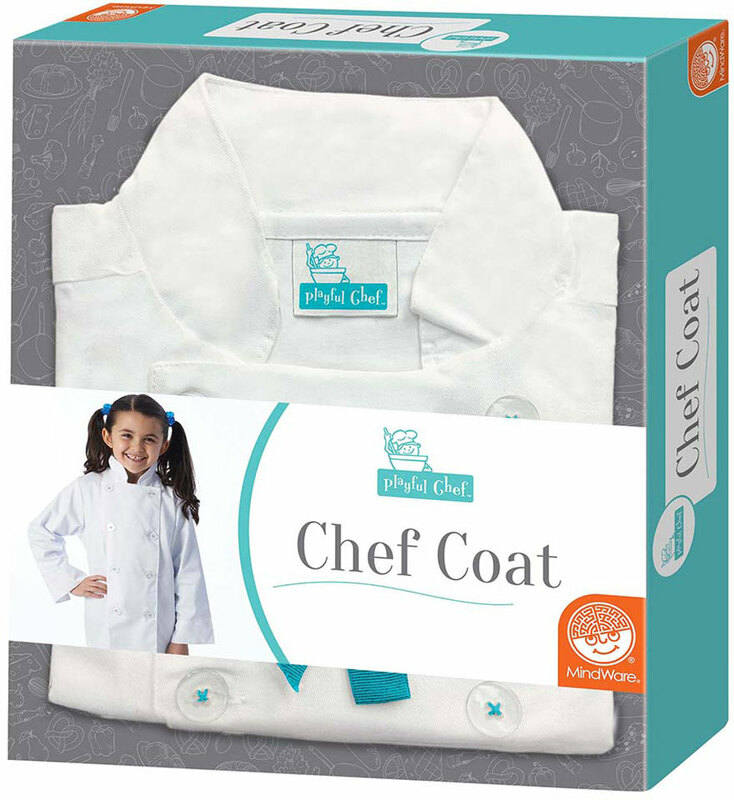 This premium junior Playful Chef Coat features a professional grade 8-button construction with a brand-embroidered back collar, just like the world's top chefs. The machine-washable premium-grade 65% polyester/35%cotton fabric makes for easy clean up after a fun day in the kitchen, and its durable fabric will protect clothes from spills and splatters for years of cooking fun. 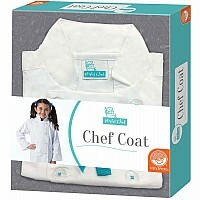 The chef coat fits most children ages 5-10. Studies show that cooking facilitates language skills, builds confidence and starts family traditions. Cooking can also help your child hone basic math skills by doing something as simple as counting the number of eggs left in a carton, or pouring liquid into a measuring cup. The Playful Chef Coat is designed to protect your child while they learn all about cooking. Measures approximately: 10.10 x 9.20 x 2.00 inches..